The first unvarnished opinion this privileged “American” heard about Haiti came seven years ago during my pampered vacation in the Dominican Republic. 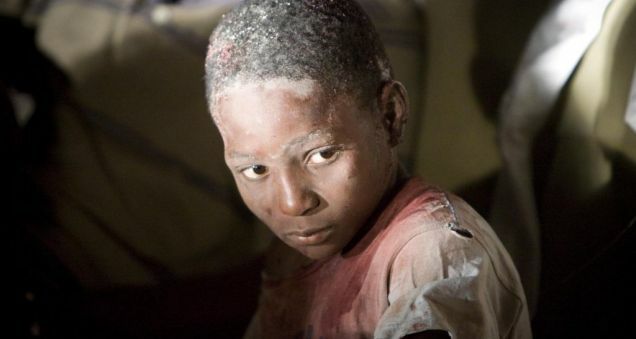 Everybody has heard about Haiti since a devastating earthquake hit the island country Tuesday. The news comes at the same time my thinking has been shaken about how Latin America has been exploited since Columbus arrived on the Haiti shores in the 1490s. My recent revelations have come from author Eduardo Galeano’s “Open Veins of Latin America.” This tremendous book shows how for centuries indigenous people in Central and South American have been and still are exploited with colonialism and under capitalist vices. From slaughter and slavery to sugar swindle. Galeano continues: “In the second half of the [eighteenth] century the world’s best sugar was being raised on the spongy coastal plains of Haiti, a French colony then known as Saint Domingue. Northern and western Haiti became a human antheap [read: scrap heap]. Sugar needed hands and more hands. In 1786, the colony brought in 27,000 slaves; in the following year 40,000. Revolution broke out in the fall of 1791 and in one month, September, 200 sugar plantations went up in flames; fires and battles were continuous as the rebels slaves pushed France’s armies to the sea. Ships sailed containing even more Frenchmen and ever less sugar. The war split rivers of blood, wrecked the plantations and paralyzed the country, and by the end of the century production had fallen to almost nothing. By November 1803 almost all of the once flourishing colony was in ashes and ruins. The Haitian revolution had coincided — and not in time — with the French Revolution, and Haiti bore its share of the international coalition’s blockade against the French: England controlled the seas. Later, as its independence became inevitable, Haiti also had to suffer blockade by France. The U.S. Congress, yielding to French pressure, banned trade with Haiti in 1806. In 1825, France recognized its former colony’s independence, but only in exchange for a huge cash indemnity. The tropics took their revenge on Leclerc: “Gripped by the black vomit,” and despite the magical incantations of Pauline Bonaparte, he died without carrying out his plan. I’m not sure if that man on the flight who called the Haitians seemed to be of French decent or not. It doesn’t matter. The exploitation continued into U.S. hands. A tremendous ABC News special tonight showed that the U.S. supported a dictator for 20 years to protect its nation’s business interest. Good work. The news special today shows the repercussions of not only a natural disaster but the strife that Haitians have to endure everyday: extreme poverty, rampant unemployment and squalid living conditions. In other words, a byproduct of colonialism at its ugliest. ABC’s documentary had two visuals that stuck with me. The charcoal eyes of boys like this. The descendants of slaves. Dust from collapsing concrete covering him. What those charcoal eyes must have seen. The second was Haitians residing in a tent city with toothpaste beneath their noses. Whiffs of mint were used to combat the stench of decaying corpses nearby. Images and news of the Haitian earthquake must not only conjure up sympathy, but enlightenment to how these people have been exploited by developed, rich nations. This is an opportunity to expose the transgressions of us and our ancestors. Tagged "Open Veins of Latin America", columbus, earthquake, Eduardo Galeano, France, Haiti, Latin America, U.S. The revealing documentary “The Cove” exposed the Taiji, Japan dolphin massacres and should receive the ultimate prize for such great investigative journalism — meaningful social change. The documentations revealed the animal rights violations in the secretive and bloody slaughter that is clandestinely approved by the Japanese government. These vicious harvests are part of an estimated 23,000 dolphins killed in Japan each year without acknowledgement of the U.S., U.N., or its sanctioned committee on the subject, the International Whaling Commission. Ric O’Barry, the former trainer of Flipper, saw how organizations such as Sea World were paying fishermen in Taiji, Japan up to $150,000 for one show dolphin that is plucked from the pack prior to slaughter. With suffocatingly brutal imagery, the documentary showed how hundreds of dolphins are corralled in nets, speared and left to bleed to death. Then, their mercury-laced meat is fed to ignorant school children in Japan. Mr. President, show that institutions that you lead can provoke social change. This is necessary for our ecosystem and as reward for stunning investigative journalism. Tagged Documentary, Flipper, International Whaling Commission, Japan, President Obama, Ric O'Barry, Taiji, The Cove, U.S.